My mom has me beat hands-down when it comes to real food, and she sets a fine table, too! Mom: Puts each food in a serving dish and passes it around. Puts all the serving bowls on a tray near the dining table, and passes them around again later. Me: Puts a serving of every food onto each plate and brings it to the table. Usually doesn’t make enough for leftovers – or wants to save it for a second meal! Me: Makes white or brown rice; potatoes occasionally; one vegetable at a time – two is a splurge! Mom: Puts homemade pickles and relishes into glass dishes and places them on the table. Serves olives in another dish. Puts the remainder back in the bottles after every meal. Me: Buys pickled cucumbers and beets, puts bottles on table. Mom: Makes roasted meats with gravy for Sunday dinners; serves with applesauce (pork), pineapple or raisin sauce (ham) or cranberries (chicken and turkey). Mom, you sure know how to feed people right. You rock! Love it! My mother-in-law does all of that too. She’s so sweet & always makes a meal seem so special. My husband didn’t see the point and wants to know why I put something in a serving bowl as he wants to limit the number of dirty dishes. After our kids left home we got really informal! Sometimes we each fill our own plates from the stove. 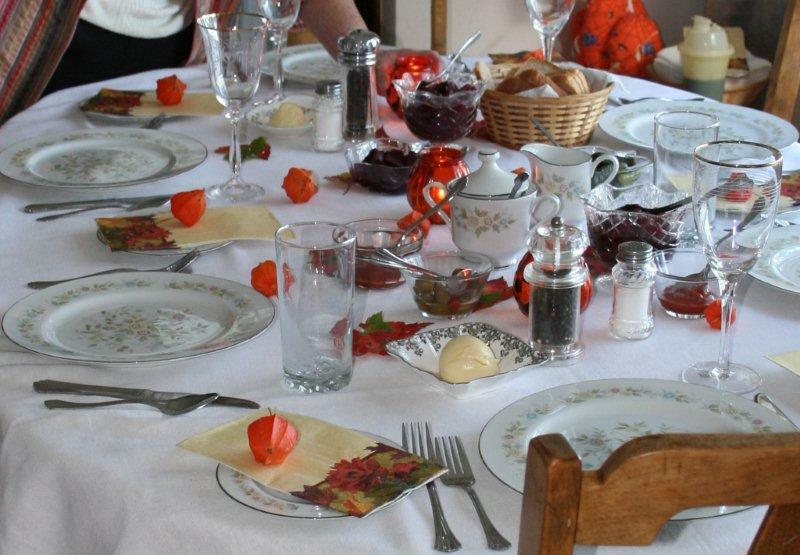 For holiday meals we go the old-fashioned route & I think it makes the meals feel more special. Hi Maggie, The two of us sit and eat together at the kitchen table, at least, instead of in front of our computers or the TV. 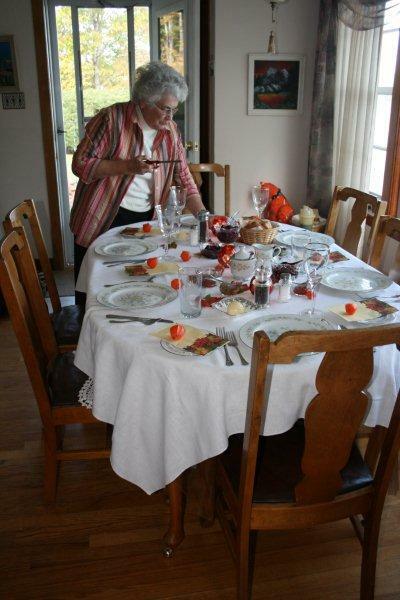 Like you, for holidays and gatherings, I follow Mom’s example! My parents eat more casually when they don’t have guests, but I still don’t think Mom would ever put a pickle jar on the table!